Create the excitement and fast paced action of your favourite winter sport in your own home. 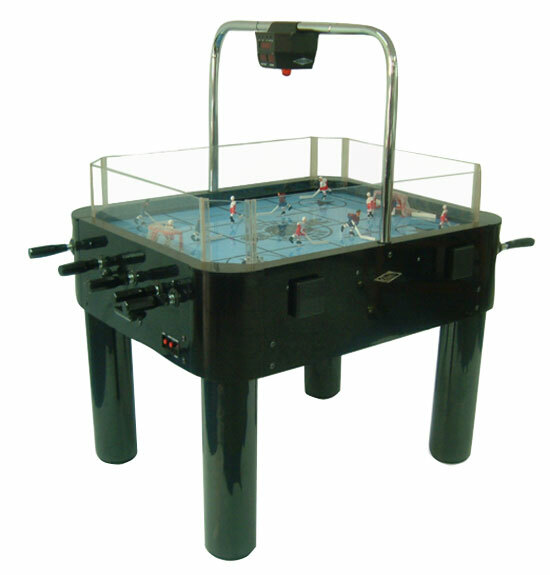 Our deluxe, sturdy Stick Hockey game table will look great in your game room. On game night with your friends, you won’t even miss the pros! ASSEMBLED TABLE SIZE 46-3/8" x 36-3/8" x 35"
PLAYING SURFACE SIZE	.........42-1/2" x 32-1/2"
PACKING DIMENSIONS	............48-3/8" x 38-3/8" x 14"